From today, if you want to advertise a political cause on Facebook in the UK, you’ll have to obey new rules. You will need to prove your identity and location to the company, and each ad will carry a message saying who paid for it. There will also be an online archive, showing all of your previous ads, roughly how much you spent, and who they have reached. The archive can be searched by anyone, whether or not they are a Facebook member. The new system has already been in operation in the US and Brazil. Facebook was forced to act following controversy about ads it displayed during the 2016 US Presidential election campaign and the UK’s EU referendum. In the United States, thousands of ads were bought by Russian groups trying to sow discord. Facebook has been under pressure to make sure the same thing did not happen in the run-up to November’s mid-term elections. 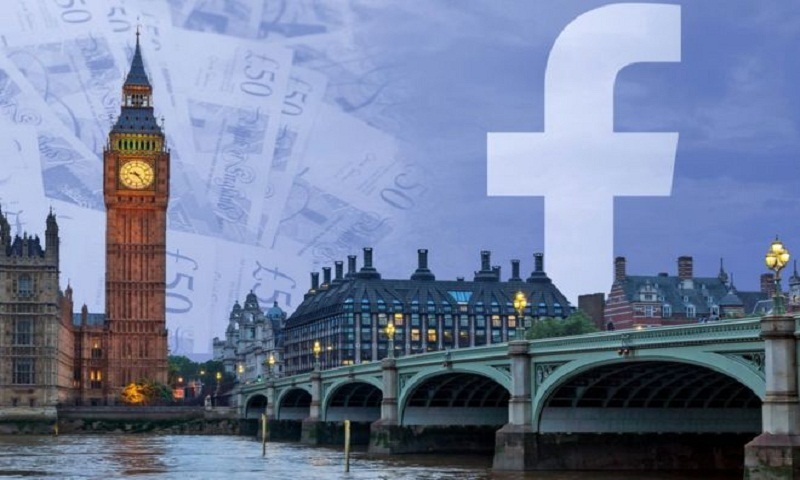 Facebook insists that Russian spending on ads during the Brexit campaign amounted to just £0.73, although the Department of Culture Media and Sport Select Committee was unhappy with the level of information provided by the company. The first time anyone wants to place an advert that talks about any live political issue in the UK or promotes any candidate, they will go through a verification process to prove their identity and that they are based in the UK. They will have to provide a passport, a driving licence or a residence permit, and these will be checked by a third-party organisation. Searching the archive, you come across examples of ads that have been placed without the “paid for by” label. The system allows users to report a political ad as fake news, and if Facebook determines that it does contain falsehoods, it can be taken down. Adverts that have broken the rules remain in the archive, so that you can check just how many people it reached while it was on the site. In a blog about the new policy, Facebook says that in the US and Brazil it is pleased with the progress made so far. But the company admits that it will not cut out abuse entirely. “We’re up against smart and well-funded adversaries who change their tactics as we spot abuse,” it says. Last week, the social network removed more than 500 pages and 250 accounts it said were spamming users with what it called “sensational political content” to gain attention as the US’s mid-terms approached. Facebook suggested the motives behind the material were financial rather than political, designed to get users clicking on adverts. The new rules will not necessarily show who has broken the UK’s laws on election spending. The message that must be displayed on any ad will only show who paid Facebook for it, not where their money came from. That, says Facebook, would be a matter for the Electoral Commission to investigate. In July, the commission found that the Brexit campaign group Vote Leave had broken the law by funneling money for Facebook ads through a youth group BeLeave. Facebook says in future spending on adverts will be more visible. “The goal is to make it transparent, so that people can see that – not after the fact, but while the campaigning is going on,” says Rob Leathern, the executive in charge of the initiative. In the US, the library has recorded over one million political ads since it launched in late May. Spending in the UK will presumably be pretty low for the time being – unless there is a snap election. But when a vote comes, we can expect Facebook’s ad archive to become an essential tool – not just for the electorate but for parties trying to work out what their opponents are up to.